Not a refuge to poets that’ll be torn to bits. 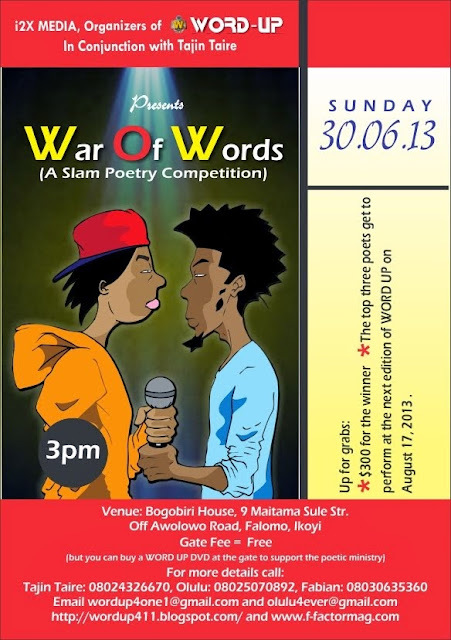 Come 30th June there’ s a war to wage. And poets shall speak and spark with rage. Or that in the past you have become Charismatic. For thou might be into thousand pieces torn. Come to stage and let’s do the poetic mime. This is the time to know the best in our Train. The 3 Great Judges for #WarOfWords...!!!! 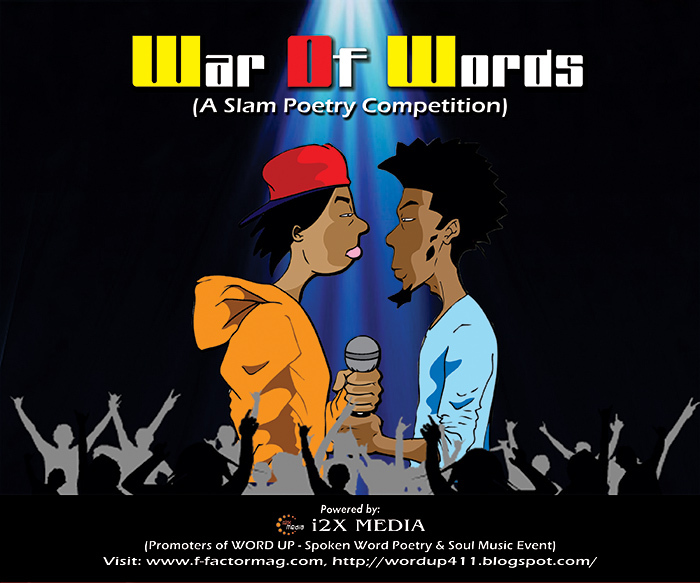 #WarOfWords is supported by ...............!!!! Uzbek: #WarOfWords? Nah, its my victory speech.